Some of you may remember I began my laser tattoo removal journey back in May of last year. 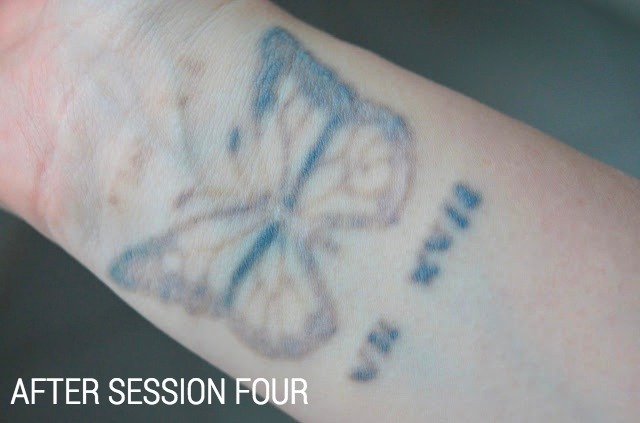 Cut to seven months later when I have just finished my fifth session. Since I've had so many messages about my treatment over the past few months, I thought I'd check in to give you guys an update on my progress. When I started this journey, I said it would be a long road and indeed it has. But equally, the changes I've seen have been really fascinating to me. 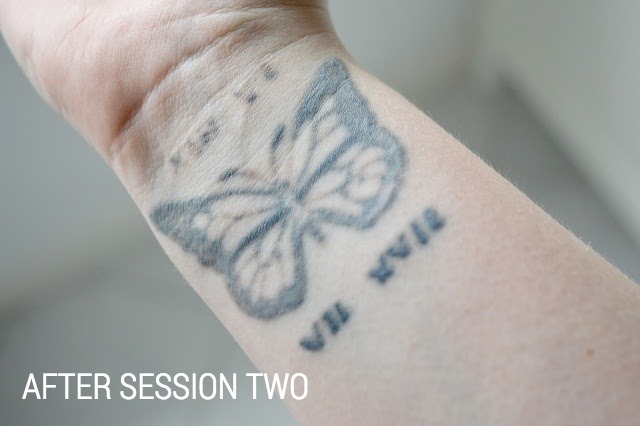 If you missed the first instalment of my journey, I had my first session, starting in May, on two small pieces on my wrist. 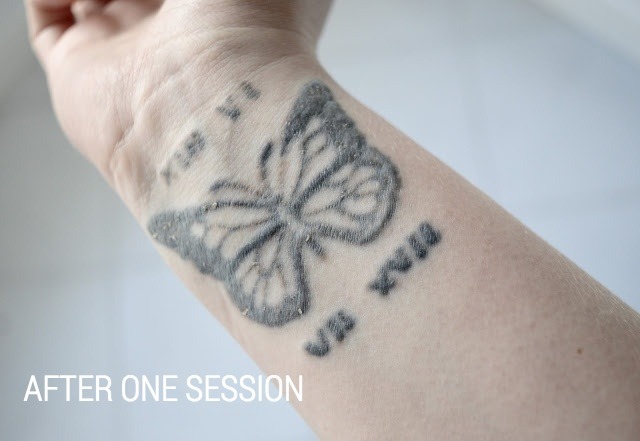 Being so dark in colour, a cover up was not an option and so I had been recommended using laser removal before attempting a new tattoo over the top. Fast forward to now and I'm pleased to say that my treatment is almost complete, and even faster than expected. As you can see, the darkness of the tattoo faded very quickly in some areas. Some parts of the design were a lot tougher than others due to how deep I was original scarred by the tattoo artist. Of course, there are still a few patches which will need a few extra sessions. 1. Does it hurt? At the beginning of my treatment, I found the process to be a breeze. However, as the appointments go on, the power of the laser is upped meaning so is the pain level. My sixth session was particularly difficult but it does also make the treatment more effective. Luckily, I have super cold air pumped on to the area to lessen the pain but it's definitely something to think about going in. Numbing creams are also available if you really struggle with pain but it's best to assume it'll be bad. 2. 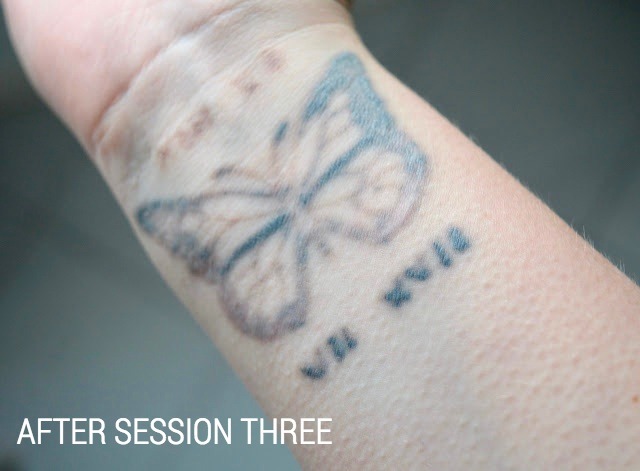 How long does each session last? This would depend on the actual size of your tattoo but, with mine, I was in-and-out of my appointment within around 5 or so minutes each time. It's quite handy to be able to nip in on my lunch breaks. 3. Can any tattoo be removed? No. 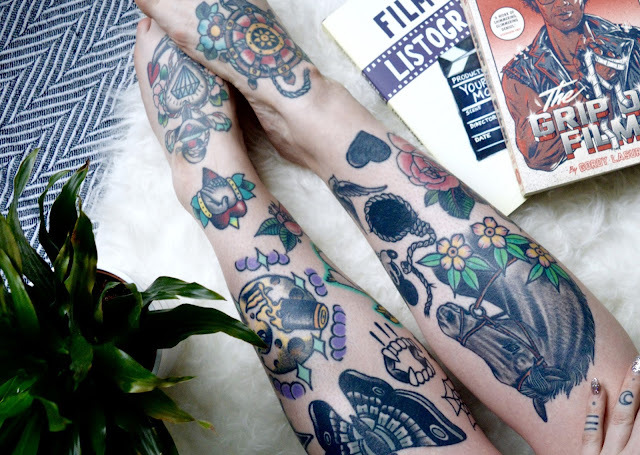 Obviously, each case will vary greatly but not all tattoos can be removed entirely due to certain colours being used. For example, yellows, greens and reds are particularly difficult; where as darker colours such as black and dark blues are much more easily lifted. It's always worth popping in and seeking advice from a professional if you're serious about getting laser tattoo removal. 4. How does it actually work? 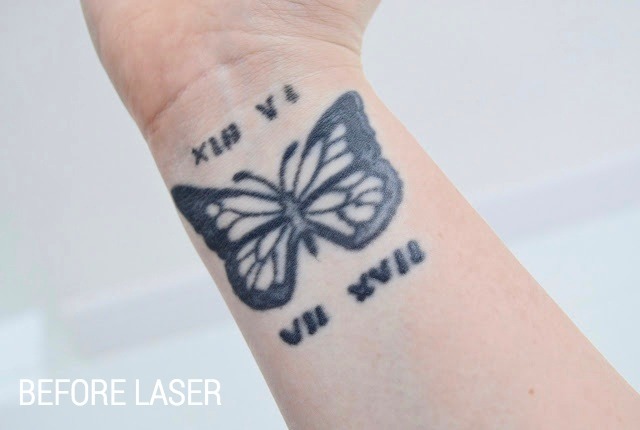 The process works by laser light being fired into the tattoo - causing the ink to break into tiny pieces which are easier for the body to absorb and to be removed. The laser energy is actually harmless and only targets the pigmented skin - leaving the un-inked surrounding skin unaffected. 5. Would you recommend it? Absolutely. Not only have the staff at PulseLight Clinic* been really helpful but I was really impressed by the results. Going in, I was told it could take up to 10 sessions - and here I am at six with one completely vanished and another ready to be safely covered. It's definitely made me consider further treatment for other pieces in the future. 6. What do you use for aftercare? When I first have a session, I use adhesive bandages for the first two days, just to protect it from any dirt or infection). Once those are off, I use HC45 Hydrocortisone Cream from Boots to speed up healing time. Once the tattoo has scabbed over, I use LUSH Ultrabalm to keep it moisturised and protected. Well, that's it for another update on my laser tattoo removal session. Have you ever had laser treatment? What have been your experiences of it? Or maybe you have some more questions about my experience with it? As always I love reading your comments so please do leave me lots of lovely ones below. 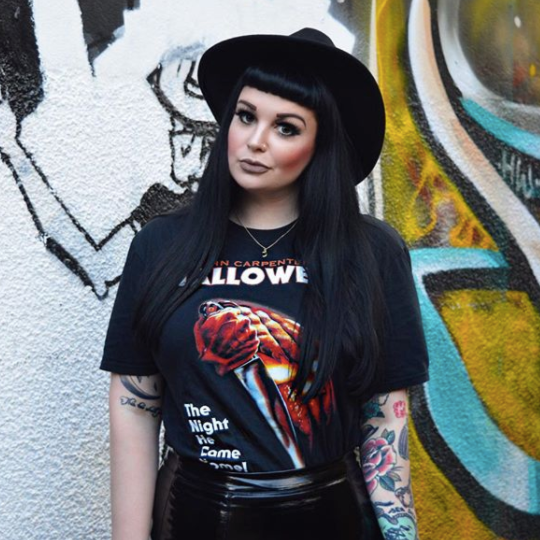 I'll be sure to check back in soon to let you know how I'm getting on but don't forget you can see my first post about it all here. Check out Part III here.